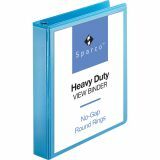 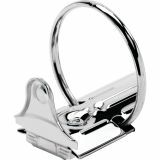 Sparco Premium 1 1/2" 3-Ring View Binder - Round-ring view binder offers crystal-clear, wrinkle-free, nonglare overlays that resist toner transfer and quality no-gap rings that close securely and resist separation. 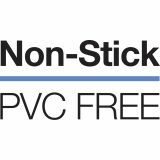 For durability and resilience, the cover material and overlays are made from PVC-free polypropylene with a heavy board material in the front and back covers. 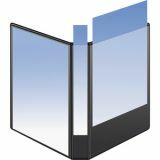 Steel ringlets are attached to the inside back cover instead of the spine so pages lie flat. 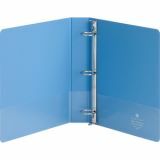 1-1/2 capacity holds approximately 350 sheets. 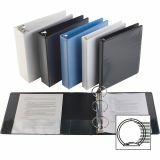 Binder also features two clear interior pockets, a sturdy chipboard core and exposed rivets. 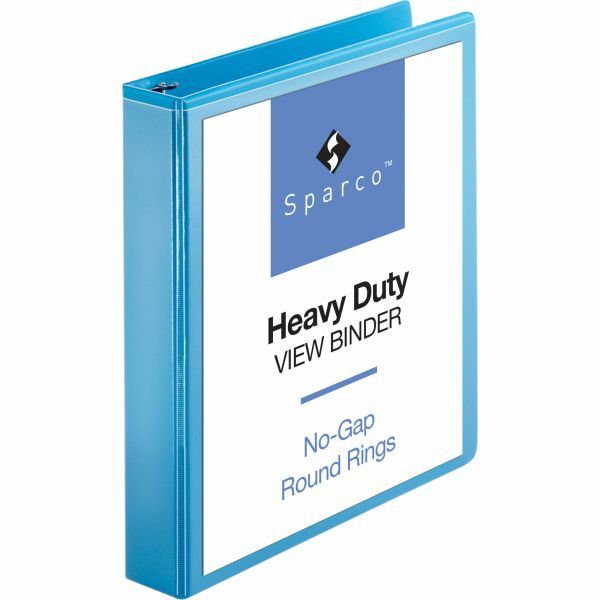 Each pocket holds 40 sheets.